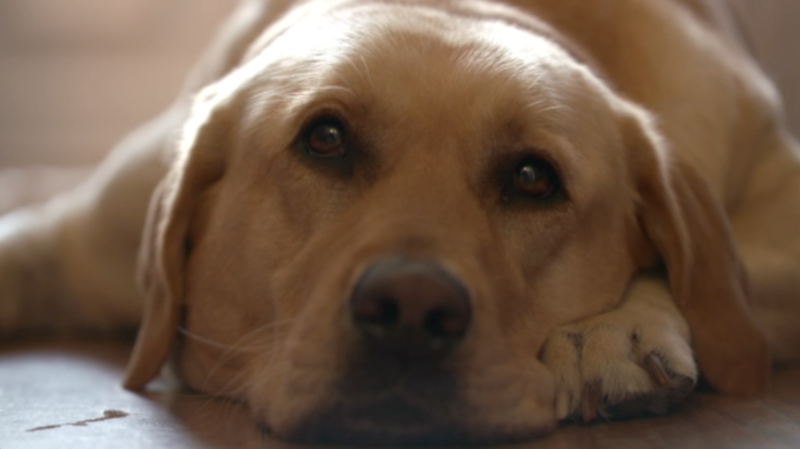 Noel treats Sandy, a golden Labrador born with a deformed front paw, and offers her a bionic solution. Sandy’s family were initially advised to return her to where she’d come from because of the deformity, but Ian and Gail, and especially their disabled son Jake were already very attached to their new family member, so they couldn’t bear to part with her. 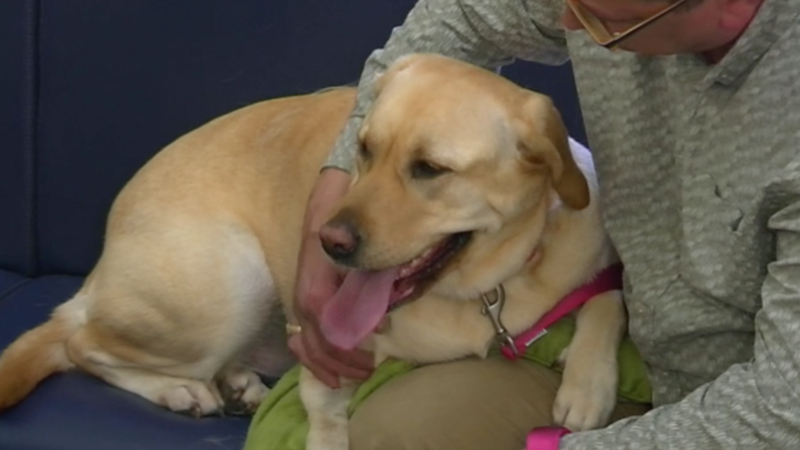 Over the last three years Sandy’s deformity gradually deteriorated with tendon contracture, arthritis and sores on her paw which were causing her more and more pain. They had been advised that full limb amputation was the only reasonable option, but they wanted to give Sandy the best chance of a life on four legs. 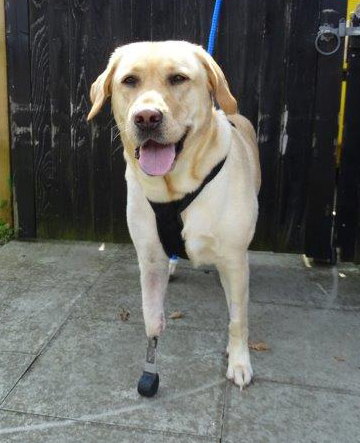 Noel offers them a unique custom-made prosthesis, called a PerFiTS, which consists of a metal implant which Noel attaches to the bones of her forearm and then the skin too after amputating her painful paw. The implant will eventually become part of her skeleton, so she can run around normally. 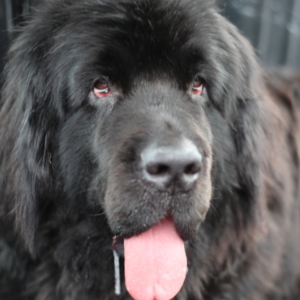 It’s a cutting edge treatment invented by Noel and only available at Fitzpatrick Referrals. However infection is always a huge risk, so Sandy’s family have an anxious time waiting to see if the surgery is successful. Sandy lives with Ian and Gail and their two sons. Their disabled son Jake is particularly attached to Sandy. Ian and Gail say they see them connect through their mutual physical struggles. 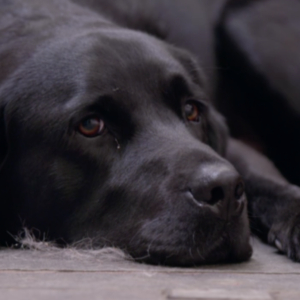 Sandy was born with a deformed foot, which regularly caused problems for her, with intermittent infections to struggling to go for her normal walk. The family wanted her to be able to do as much as possible and have a normal, fully functional life. 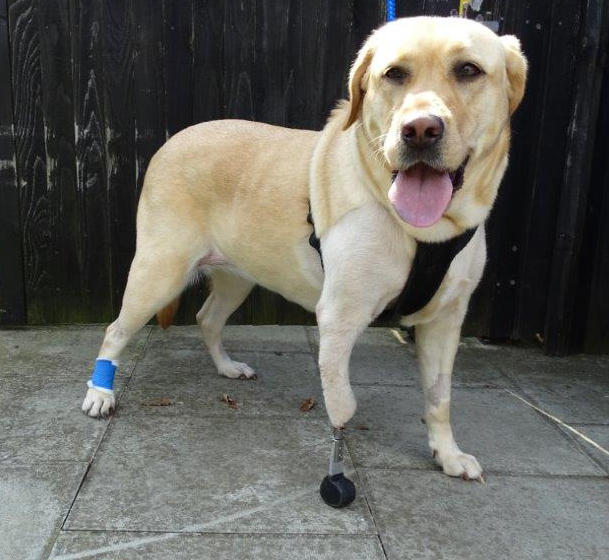 They knew about the potential to replace the malformed foot with a bionic one, a procedure unique to Fitzpatrick Referrals. When they saw Noel, he explained the potential risks of the procedure as well as the benefits, and discussed with the family the moral and ethical considerations before going ahead. After much discussion, the family saw this as a chance to do the right thing for their much loved family member, knowing that their other options were to leave Sandy to live with the pain or have the leg removed entirely, so they proceeded with the operation. In surgery, Noel removed the existing deformed paw and then inserted the two pronged implant with screws fixing it in place. He used bone marrow to pack around the implant to encourage bone to grow into the implant so it could become part of Sandy’s body permanently. Once the skin was sealed around the base, Sandy’s new foot was attached to the external peg. Over the next few weeks Sandy remained an inpatient at the practice so Noel and the team could monitor her progress and keep an eye out for infection. She progressed very well indeed and finally was able to go home to continue her recovery, the family were very excited to be reunited. Over the next few weeks, Sandy continued to go from strength to strength. 12 weeks after the surgery the family came back to see Noel to review her progress. Noel was very pleased with the results. Her x-ray images showed good metal and bone union. But most importantly, Sandy was happy. As if she had always had her bionic foot, able to run, jump and play like a normal dog. Now the family just have to be wary to warn visitors to watch out for her and her hammer foot as she greets you at the door!